In a pretty rare case, researchers from the University of Nebraska Medical Center in Omaha describe a Salmonella serogroup C infection reported in a breast implant in a woman who recently traveled to Mexico and contracted traveler’s diarrhea. The case report is published in the journal, JPRAS Open. Five months after the breast augmentation, the 34-year-old woman traveled to Cancun, Mexico, While there, she developed abdominal pain and diarrhea that progressed to include fevers and chills. Her symptoms persisted until she returned to the United States, at which point her primary care physician evaluated her on the fourth day of her illness. Her symptoms soon resolved without treatment. Fourteen days after symptom resolution, the patient developed right breast pain. She was treated with antibiotics however, three days later, she presented with a large abscess in the inferior pole of the right breast with worsening erythema and prominent fluctuance. That day, she was taken to the operating room where the abscess was incised and drained and the implant removed. During surgery, 200 mL of grossly purulent material was drained. 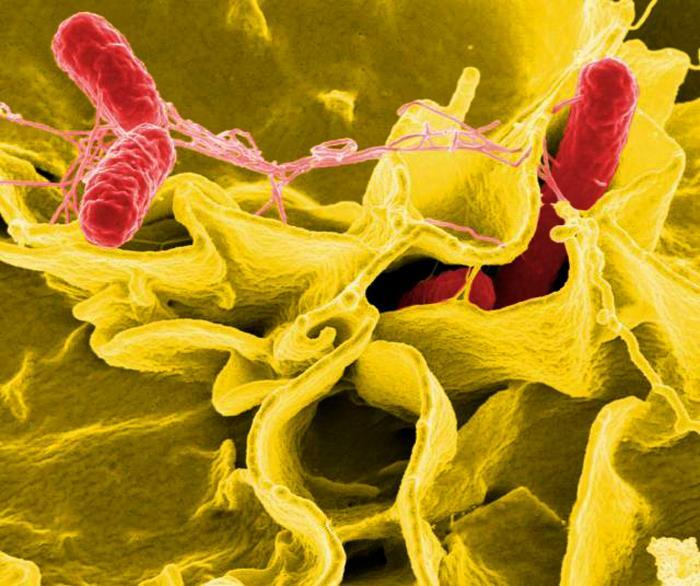 Cultures were obtained of the fluid that later grew Salmonella serogroup C. At that time, her antibiotics were changed to sulfamethoxazole-trimethoprim 800-160 mg BID given the culture sensitivities. Infectious disease was consulted, and it was recommended that she complete a total of 14 days of antibiotic therapy and four additional months pass before another implant be placed. The authors of the case report say she had minimal risk factors for infection and every precaution was taken to reduce her risk in the perioperative period. Her historical account of having developed diarrhea and abdominal pain during her vacation at a high-risk destination is consistent with a diagnosis of traveler’s diarrhea and it is highly likely that her breast implant infection was attributable to her recent illness. Recent guidelines published in 2017 state that routine antibiotic prophylaxis for traveler’s diarrhea is not indicated except for individuals at high-risk of dehydration-related complications (i.e. severe cardiovascular disease). For patients who do develop traveler’s diarrhea, antibiotic therapy is recommended once symptoms interfere with daily activities. This case demonstrates the potential for hematogenous seeding of the breast implant cavity and potential for infection in the setting of severe traveler’s diarrhea. Patients who have previously undergone breast augmentation with prosthetic implants should be made aware of the potential for hematogenous seeing of the implant cavity and risk for subsequent infection following an episode of bacteremia. Patients should also be counseled regarding the importance of medical evaluation prior to the development of severe infectious disease.